PS 84 is New York City’s first and only school to reinvent the Science Fair into this innovative format where students and their families ignite a passion for science together. Ms. Chan, Mr. Leslie, Principal Rodriguez, Ms. Sims, Ms. Swift. PS 84 brings the dreaded Science Fair out of the dark ages and into modern times by revamping its format and re-energizing student engagement. 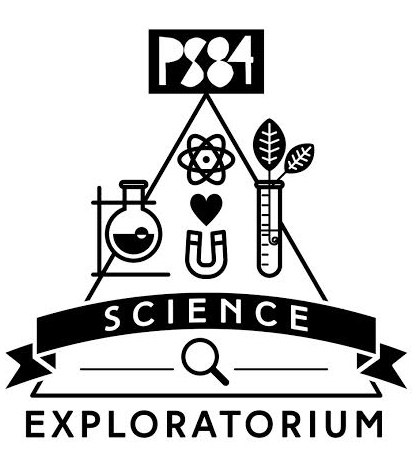 The Science Exploratorium’s innovative concept and interactive format is the brainchild of our very own Science teacher Ms Sims and is exclusive to PS84! Students from 2nd through 8th grade become Junior Scientists for an evening. They guide their guests through each step and explain the scientific principles behind each experiment. Our Exploratorium allows students and their families to enjoy science together through 45 different experiments across a variety of science-related subjects. Our dedicated Science teachers train our students to become Junior Scientists through hands-on learning, discovery, and exploration all year-long. The best part for students and their families is that all of the prep work is done at school. Gone are the days where kids agonize over coming up with novel ideas to impress their teacher. Gone are the long hours of research done at home. Gone are the intricate projects designed and completed by parents!